When you think of Audio Note UK speakers it’s the AN-E they are best known for and certainly the most widely reviewed of all their many speakers. 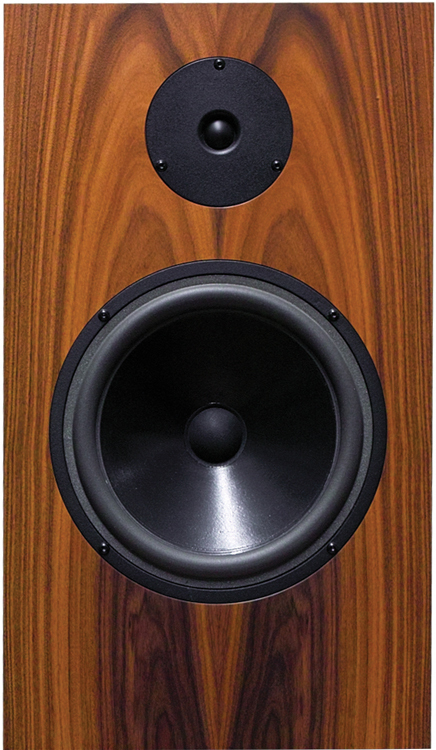 I have seen both the AN-E and AN-J speakers at many shows and in many dealers’ showrooms. 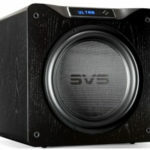 I have even seen some of the less expensive AX and AZ speakers reviewed and at shows lately. Still, the 2014 California Audio Show was the first time I had heard or even seen a pair of the AN-K speakers in over ten years. I had remembered really liking the sound of this little speaker, but I was surprised how good it still sounded. 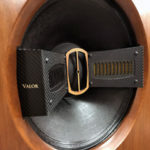 You probably know Audio Note loudspeakers are company owner Peter Qvortrup’s refinement and redesign of the original Peter Snell Type J, K, and E speakers. When Peter Snell died, Snell’s new management soon abandoned those classic speakers. It was at that time that Peter Qvortrup bought the design rights to the original models and began selling them under the Audio Note name. The AN-K differs from the E and J in design because it is a sealed box instead of a rear ported speaker. The cabinets are still made from materials that compliment the workings of the chosen drive units, instead of trying to damp the resonances in the cabinet. This difficult method helps to ensure maximum efficiency and dynamic behavior supposedly. I used this speaker with three amps, my Wavac EC300B, my Electrocompaniet PI 2D Prelude integrated amp and the 47 Labs Midnight Blue integrated amp. If I was putting together a table top system for a small room I can’t imagine a much better combination than the AN K/SPe and the little 47 Labs amp. Still, for the review I’m going to talk about them in my reference system, stand mounted and driven by the Wavac EC300B amp. While they sounded really good just sitting on either end of a sofa table, they do sound better if you have the room to put them on stands and take the time to place them in the right place. In my room they sounded best about 14 inches from the back wall, 7 feet apart, tweeter to tweeter. I toed them in where they crossed about a foot behind my head. In this position, the bass was quick and punchy like only a sealed box speaker can sound. The soundstage was very good, thought lacking a little in depth. Truth is, if sound stage is one of your top priorities Audio Note speakers probably aren’t for you, it’s not one of my top priorities and I find Audio Note speakers to have a very realistic if not audiophile sound stage. 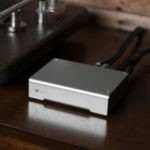 The AN-K Spe, like most Audio Note equipment, plays almost all genres of music pretty well, and most importantly, somehow allows poorer recording to sound more musical without compromising the sound of great recordings. You ask how can a small two-driver sealed boxed speaker play loud enough or have the dynamics for rock or classical music. Again, this is the specialty of Audio Note speakers, that is doing what seems impossible from a small two-way speaker. While they play all music well, they play acoustical music and vocals in a way that is very real sounding. The overall sound of these small wonders is open, transparent and despite their size they play music with amazing scale. Instruments come across with vivid color, realistic size, and placed correctly in the sound field. Like the Lindemann BL-10 bookshelf speakers it’s hard to not talk about how good these speakers are for their size, but the truth is they are really good among speakers of any size. Speaking of the Lindemann BL-10, this is the speaker the Audio Note K/SPe most reminded me of; and when you consider the Lindemann cost $11,000 that’s saying something. The speakers have different strengths but they both are very quick, precise speakers with real inner detail, excellent micro-dynamics and very good overall dynamics. If you want a huge holographic sound stage the Lindemanns are much better, but if you want the other qualities we have talked about but with a slightly fuller, richer sound with even better PRaT then the Audio Note become quite a bargain. When evaluating a speaker there is no more telling instrument than a piano. The sound of the piano on the Audio Note K/SPe speakers was coherent from top to bottom. Though admittedly some of the bottom was missing. Strings on these speakers sounded truly beautiful, sweet, and luscious. Guitars, violins and surprisingly even the bass sounded very convincing and enjoyable. The Audio Note K/-SPe are surprisingly full sounding for such a quick speaker; a really great combination. Like I said the Audio Note AN-K speakers are the speaker that almost no one talks about in the Audio Note speaker line and it shouldn’t be. It is a highly versatile speaker. It can play with the big boys if you listen nearfield and you don’t require bass below 45Hz or so. The bass they play is very tuneful and I value that more than plummeting really deep. They are also great living room/family room speakers. They can sit on a shelf and be powered by a good integrated amp like one of Audio Note’s own or the little 47 Labs Midnight Blue and still provide a very rich musical experience. Don’t overlook the Ks; they are great little speakers! Size: 18.5" x 10.8" x 7.5"
Hi Jack, I had the pleasure to test a pair of AN-K´s (Lexus) with the AN-OTO-SE and an upgraded LP 12. These small speakers sound really fantastic. In my small room (about 3 x 3 meters) they sounded best when placed directly in the corners and on stands. A fantastic speaker. Has the 47 labs amplifier 4736 power enough to fee the K’s. Thank you for your readership and email. 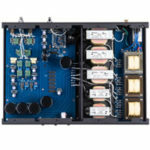 Answering your question, the 47 Laboratory 4736 Midnight Blue integrated amplifier is specified to output 40 watts per channel into a 4 ohm load, while the Audio Note K speaker is designed to be driven by the company’s own single-digit output tube amplifiers. Therefore, the 47 Lab 4736 is more than enough to drive the K.
Another aspect to consider is subjective loudness. Playing highly compressed music will render a perfectly competent system unimpressive. Making the Audio Note K play loud in a large room can also induce dynamic compression and potential damage to the speaker itself. Let us know how you have progressed down the line! Audio Note does not specify the impedance of AN-K/SPe, but even if it’s 4 ohms, 4736 will drive it nicely.